With our In-House Support aftercare service we are proud to be one of the leading Conveyor Manufactures in the UK. C-Trak fabricate easy clean medical, chemical & pharmaceutical conveyors for almost 40 years in the personal care sector. We also offer a range of Trespa Top Tables and Reactor Stand. 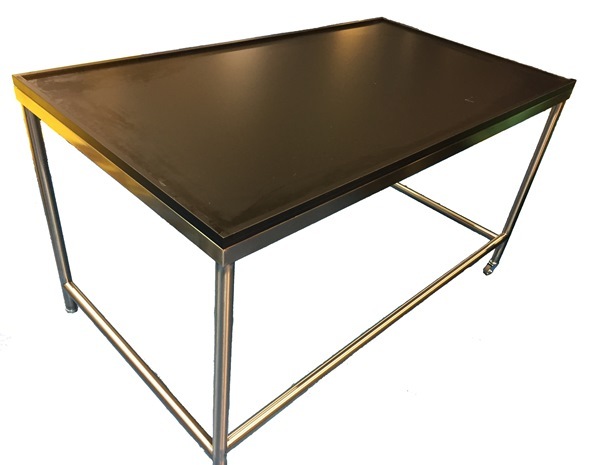 Trespa Tables fabricated in Stainless Steel Custom Built for your products. Can be supplied with adjustable feet of made mobile with casters. Our outstanding professionalism offers solutions to prevent cross contamination from product to product because sanitation matters. We understand the regulations for strict hygiene and can custom build to order. When are pharmaceutical conveyors used? Our Medical Conveyors will be tailor made to your exact specification ensuring it will meet all standard required. Professional designers with experience in the medical sector who will understand your expectations. Fabrication in stainless wherever possible to provide cleanliness and hygiene. Wash down facility. Belts are special grade quality and come in a vast range of material. Pharmaceutical Grade Perspex covers can be supplied to enclose and protect your products from contamination of dust for complete cleanliness.